You have a library which includes different kind of “add-ons”, in a way that you can just create a new JS file under an addons/ directory and your lib will dynamically import it on build time, including it to the lib bundle. However this add-ons can’t work simply alone like lodash or RxJS does, as they’re too out of context to be used directly (or you simply just don’t want expose them directly, without an facade object). 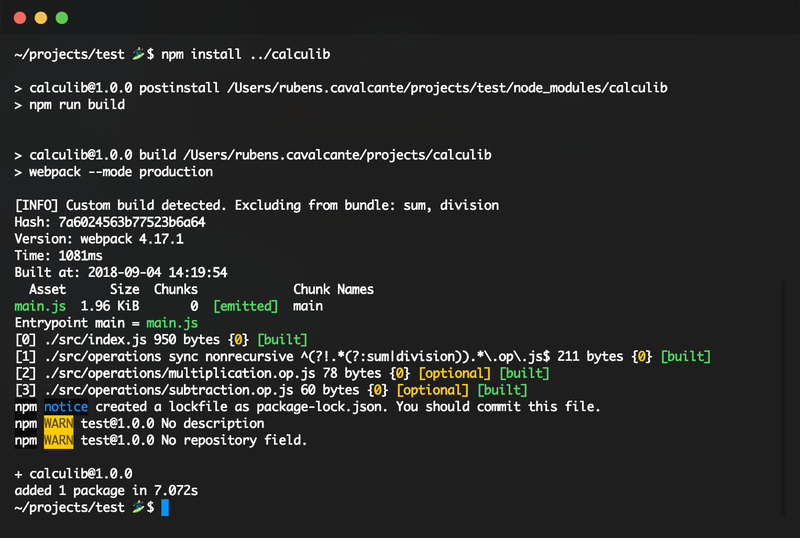 Great, you’re going to use Webpack contexts as Dynamic Imports you basically resolve modules at runtime (although webpack maps the calls to the modules on the build). Dynamic imports are a better approach for code-splitting, something you don’t want in you lib. What you really want is just resolve dynamically the modules at building time including them in the final bundle, and that’s it! Ok, I realised that I just came with a magical solution with an very short explanation. Let’s go further on the subject. Contexts are a way to make Webpack dynamically read modules present on directories (and subdirectories if you want), making them available through a importer/requirer function. All this analysis is made at building time, guiding Webpack to create a context module just for resolving this dynamicly included modules. 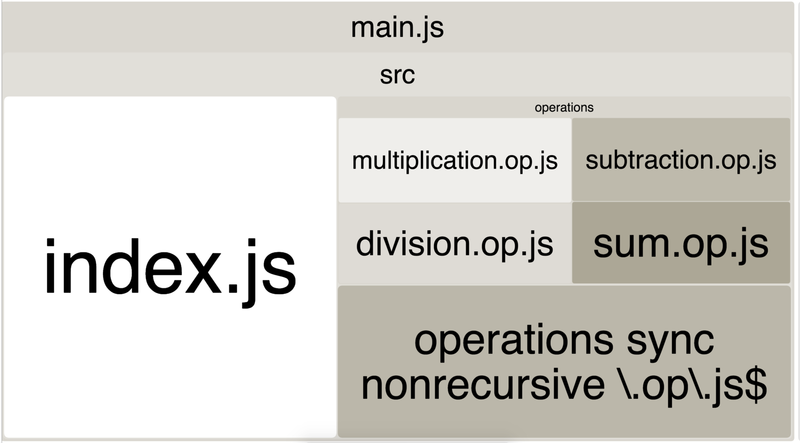 The context module name says it all: it imports synchronously and non-recursively the “operations/*.op.js” files. We can see also that differently from dynamic imports, which does async importations by default, breaking the modules into one or more chunks, here we have all found modules bundled together, perfect for a library final distribution. This solves the problem of not hard-coding static imports on the lib index and for general use it works great, but for our specific use (custom builds) it generates other problems! 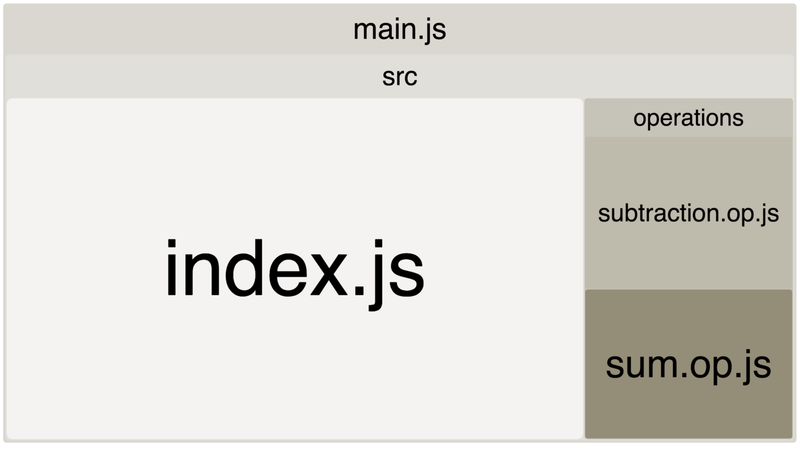 As you require a dynamic context, Webpack will be unable to do tree-shaking because it can’t check if all that code is used or not (we aren’t using static imports). The problem is that you want give a way, for your library users, to do at least a manual remotion of unwanted code. You want to make your lib. able to have custom builds, something that tools like jQueryUI used to have. But in the present days, the majority of the lib users only use npm (or yarn) and refuse themselves to download you library from a site and commit it directly on their repositories. Webpack comes with the fantastic context replacement plugin, that let us manipulate the contexts on the building time. So, we have a solution for removing unwanted modules while building! What we need now is just a way to make any user being able to expose this customisation of excluding unwanted modules. Note II: The configuration values are written on a global .npmrc, but you can create a local one, in the root of the project, and commit this file to make your CI/CD being able to use the same config too. forcing the lib. to be re-builded under the new configuration. We can see now all the modules included on the final bundle, and all made on a exterior package! To make your life easier, I made the project that I use as an example here into a real npm package! Just using some small techniques we were able to make a really nice configurable plugin, without the need of users committing the custom builded lib. directly on their repos. Plus, you can easily setup the inverted strategy and build based on “includes” instead of “excludes”. 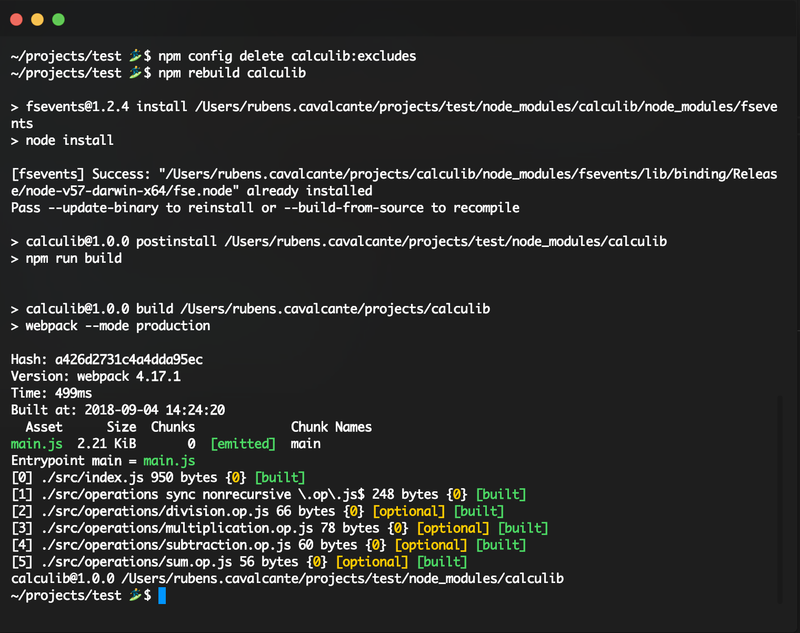 There’s also another range of uses for what was explained on this article, for instance, to make you application feature flag ready, removing modules in the building, depending on the project configuration. If you liked and now you’re doing custom builds like a boss , please show you feedback giving some claps  or leave a comment . This is very important to see if you’re liking (or not) the content I’m posting.